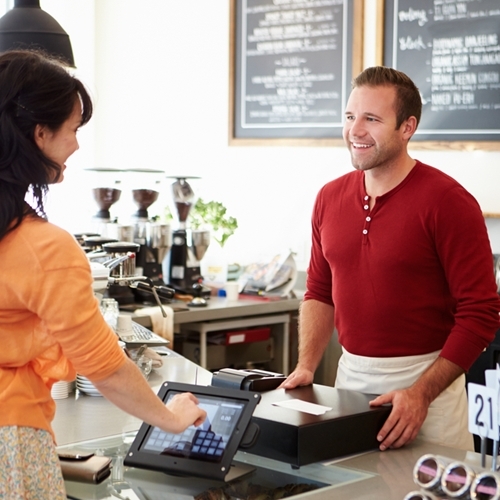 Does your Point of Sale System Offer the Streamlined Experience Consumers Want? Does your point of sale system offers a smooth enough experience for today’s consumers? In a world where the ubiquity of smartphones has consumers feeling as if they have the whole world at their fingertips, shoppers are increasingly concerned with the smoothness of their transactions. After all, watching retail workers fumble with cash registers can seem quite outdated, compared to downloading an app and pushing a button. In this environment, the onus is on store owners to ensure that they can offer a checkout experience that meets expectations. Partnering with a company that is solely focused on point of sale systems can help give retailers the best opportunity to keep pace with current trends and provide the streamlined shopping experience that customers have come to expect each time they make a purchase. When you acquire your POS system from Visual Retail Plus, you can find a system that not only includes a full set of inventory reporting features, but will be capable of covering operations at multiple stores. Furthermore, you can select a POS with a fully integrated e-commerce solution. This can be an extremely valuable feature, as the growing popularity of online shopping will put retailers under an increasing amount of pressure to make their wares available across multiple channels. The National Retail Federation recently released a report that predicts sales growth will be significantly stronger for e-commerce than conventional “brick and mortar” locations during 2014. According to the NRF, online sales will rise by as much as 12 percent this year, compared to about 4 percent for overall sales. Get ahead of the game with a Visual Retail Plus Point of Sale system tailored specifically for your business. Please contact us for more information and access to our free demo!